Calvin's Tech Notes: 146.550 MHz HAM Radio NEEDS a dedicated NATIONAL EMERGENCY Frequency! 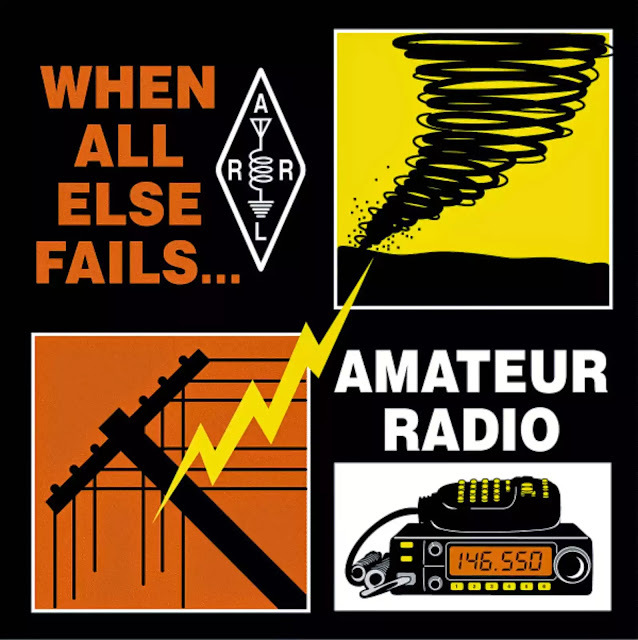 146.550 MHz HAM Radio NEEDS a dedicated NATIONAL EMERGENCY Frequency! EMERGENCY communications are defined as communications concerning the immanent pearl to human life or loss of personal property. Communications concerning hazards to the public's safety that may cause a loss of life or property. Other communications services have a specific EMERGENCY calling frequency or channel. CB has channel nine (27.065 MHz), boaters have Marine VHF channel sixteen (156.800 MHz), the International Maritime Distress frequency is 2182 KHz, and the Aviation EMERGENCY frequency is 121.500 MHz. The 146.550 MHz was selected for this effort due to accommodating most old and new 2 meter transceivers. This frequency is not, typically, a repeater frequency or in the satellite, CW, or beacon operational areas. Local area repeaters (on 6m, 2m, 220, 440, etc.) could monitor this SINGLE frequency with an auxiliary receiver. When a signal is received on 146.550 MHz, with either the EMERGENCY PL tone (recommended 100.0 Hz) or a DTMF tone of at least three seconds (recommended DTMF #0), i.e. LTZ, long-term-zero, the repeater could automatically re-transmit the received audio through a local repeater. This would alert monitoring HAM's that a need of immediate assistance is being requested on 146.550 MHz. Amateur's in rural areas using a scanner or a simple crystal monitoring receiver could detect an EMERGENCY transmission on 146.550 MHz. This rural HAM could then render assistance separate from any repeater service. This frequency gives ALL of Amateur Radio (and SWL's) a single focal point frequency across the USA to monitor or to use in getting EMERGENCY HELP! The traveling Amateur would NO longer need repeater guides or repeater PL knowledge to get EMERGENCY life-saving assistance. Just a FM transceiver that can transmit on 146.550 MHz. The 2 meter band is the MOST logical beginning for this, type of dedicated, EMERGENCY frequency as 2 meters is the most commonly used HAM band with nearly all scanners covering this frequency, the most hand-held, and mobile transceivers in Amateur operation. This single EMERGENCY frequency (with PL tone) could be pre-programmed into one of your transceiver memories allowing easy and quick access. This would also eliminate the dangerous operation of trying multiple repeater frequencies and PL tones while driving down the highway. Calvin's NOTE: Any licensed operator can run a repeater according to FCC rule 97. The challenge would be to avoid more than one repeater transmitting on the same frequency.